Midwest Industrial Funds recently purchased a 600,000-square-foot, 21-acre, two-building industrial complex located at 6600‐6620 River Road, Hodgkins, Illinois for over $17 million. Midwest Industrial has completed design and is in for permit on a $15 million major repositioning, renovation and modernization plan for both facilities. Once completed, the project will mark one of the largest existing industrial building renovation projects ever completed by a developer in metro Chicagoland in terms of overall property size and total capital spent. The properties are uniquely located at the convergence of I‐294 and I‐55 in the same business park as UPS’s 240-acre CACH facility which is one of UPS’s largest package sorting facilities in the world and BNSF’s 186-acre Hodgkins intermodal yard. Midwest Industrial will be tearing down part of the building at 6600 River Road in order to modernize the property with 45 additional exterior docks, a 60-foot speed bay, new precast and glass façade, new office space, new ESFR fire suppression system as well as a new roof and HVAC systems. 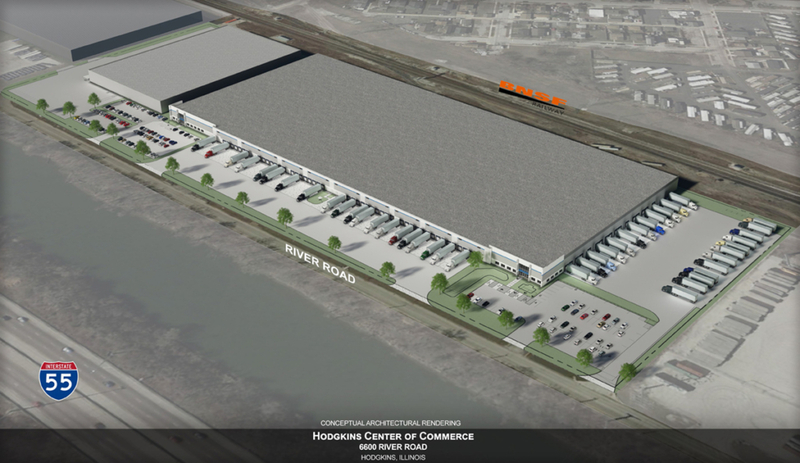 Once the renovations are complete, the finished 6600 River Road building will be approximately 408,000 square feet and feature 62 total dock doors (expandable), on-site trailer parking, 26-foot clear ceilings, possible BNSF direct rail service and be suitable for one or two tenants. Walter Murphy of Lee & Associates was the sole broker involved with the sale and represented the seller. He is being retained by Midwest Industrial to lead the marketing efforts for the lease up of the two properties. Steve Roth of CBRE secured the construction financing for the project. Harris Architects is the architect and Spaceco is the civil engineer for the project.